I’d like to call attention to the favorable word-of-mouth reactions for Unreading Shakespeare by David P. Gontar, author of Hamlet Made Simple and Other Essays. 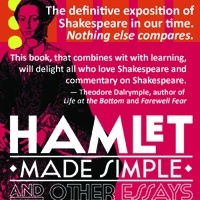 The idea of the title is that we have received [and keep carrying around] so many automatic assumptions about the Shakespearean works that we seldom, if ever, listen to our own basic instincts and reactions to what the author has written. “A barricade of preconceived ideas is thus thrown up around the text while the author at its core is erased,” Gontar writes; and the way into the experience of his works is by coming upon them as if for the first time, un-shackled by those preconceptions. For many decades all who have been engaged in the Shakespeare Authorship Question (SAQ) have been saddled with the movement known as “The Death of the Author” or whatever name it has gone by — a wave of insane, knee-jerk teaching that any work of literature, including any play, must be severed from its authorial source, that is, from the mind and heart and personal experience of its human creator. Very possibly that movement was borne out of the SAQ itself, out of a silent recognition that the Stratfordian biography of tradition contains no authentic information. Within the halls of academic Authority there has always been a deeply running undercurrent of unease, based on the suspicion that our grand statements about Prince Hamlet or King Lear or the “I” of the Sonnets might be way off base, wrong; and of course one of the first instincts of Authority is to defend itself, in this case by behaving as if the greatest writer of the English language had never existed. Instead of allowing ourselves to tap into the author’s words as if for the first time, we have been left to scribble down and memorize the myriad ideas of the critics and professors, who have given themselves the total freedom to invent their own meanings. It’s a free-for-all game without boundaries, in which no one ever loses, no one can be wrong. Of course, only the author can serve as ultimate consultant, as most reliable source and guide to his own works, but in this case there has been no such author — and no author’s life — for us to consult for guidance! 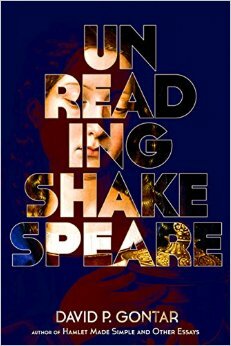 Meanwhile David Gontar has been helping us reclaim our gut intuitions about the Shakespeare works, which we must “unread” before starting afresh. There, now — Don’t you want to read how he leads up to that explosive finale? Very well said, as always, Hank. Your conjecture about why the academics had to kill all authors seems highly plausible. They try to enforce a monopoly on thinking about the authorship question, then they have the nerve to call US elitists! I’ve become so tired of hearing that the author is irrelevant, and only the text matters, that I’ve thought of proposing the MLA hire a lobbyist to change the copyright law, so the literature professors, not the irrelevant authors, would own the copyright. Richard, thanks, and you have been a great leader of the charge! I have recently gravitated to a Kindle that was given to me and have been enjoying your Re-Vere of Shake-speare and will get to it for the blog in the next few weeks. Great work! Nice Hank…I’ll send the link to David in case he doesn’t have access to it. Nomi Eve says of why she wrote it. “1. I’m always looking for cultural diversity in my reading, but the Yemeni Jews in Henna House were a first for me! What made you light upon this group, in particular, and want to tell their story? 2. We must discuss the henna! My fascination with the beauty and cultural significance of henna tattooing is the reason I wanted to read Henna House in the first place, and I was so fascinated by all the mysticism and symbolism of each tiny stroke in each marking. Can you tell me more about what led you to write about it? Nomi Eve did not personally experience the events or life in the book. Yet the amazing detail of daily life, the richness of emotion, the authenticity of characters is astonishing. This gave me pause. I am not so sure we can cavalierly sweep away that it is either one thing or another. The author MUST have lived this. Well, in many cases no they didn’t. I am not here to disparage what I have believed for 20 years has been an important alternative voice in relation to Shakespeare. I have no doubt the author was deeply committed to his work, characters and narrative. And Oxfordians have brought up dozens of significant questions that have not been addressed by the laziness and fixation of the conventional approach. But we must be careful in the universality of our assumptions.